The disease was first identified in 1955 in Wesselsbron in the OFS during the RVF outbreak. 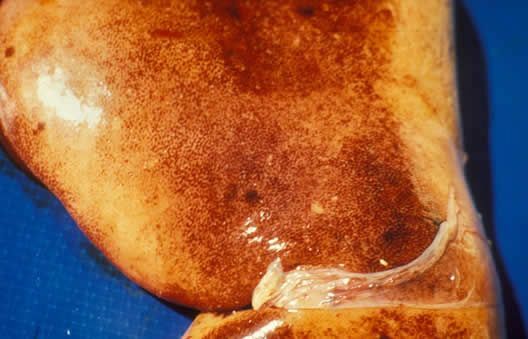 Wesselsbron disease is caused by a flavivirus. Evidence of infection has been reported in cattle, sheep, goats, camels, pigs, donkeys, horses, ostriches, and wild ruminants. Wesselsbron virus is transmitted by mosquitoes. Aedes are thought to be the major vectors, but it has also been detected in other mosquitoes including Culex, Anopheles and Mansonia. Congenital CNS malformations with arthrogryposis, and hydrops amnii are seen in ewes. Petechiae and ecchymoses (bleeding) are commonly found in the mucosa of the abomasum, the contents of which are chocolate-brown in colour. 2 human cases of Wesselsbron disease that were laboratory confirmed during the 2010-2011 RVF outbreak. The virus can be isolated from almost all organs of kids that have died during the clinical stage of the disease. Confirmation of the viral identity can be accomplished by virus neutralization. Only a live vaccine is available, which can be used in conjunction with the live Rift Valley vaccine, but not in pregnant animals. Human cases of Wesselsbron disease, South Africa 2010-2011. Weyer J1, Thomas J, Leman PA, Grobbelaar AA, Kemp A, Paweska JT.